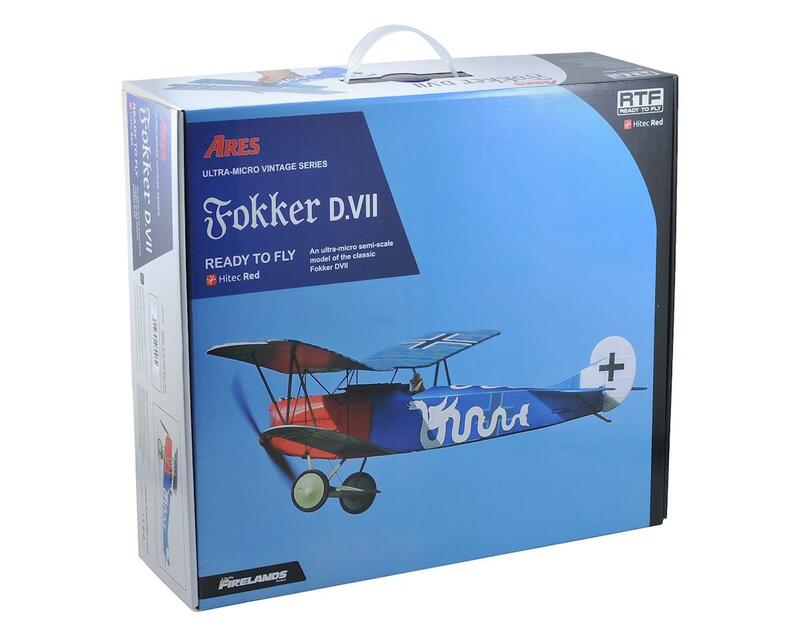 The Ares Fokker DVII is a micro recreation of Germany's finest fighter of World War I. The Fokker D.VII had a short wartime career as it was introduced towards the end of the war in 1918. Pilots praised the aircraft's handling and ease of operation. Some 1000 examples were produced before the Armistice of November 1918 and manufacture continued post-war until a total of 3,300 had been built. The AresFokker D.VII is a lightweight three-channel ultra-micro semi-scale model of the original. It features durable foam construction and numerous scale touches such as a scale engine and machine gun detail together with 4-color lozenge camouflage wings. 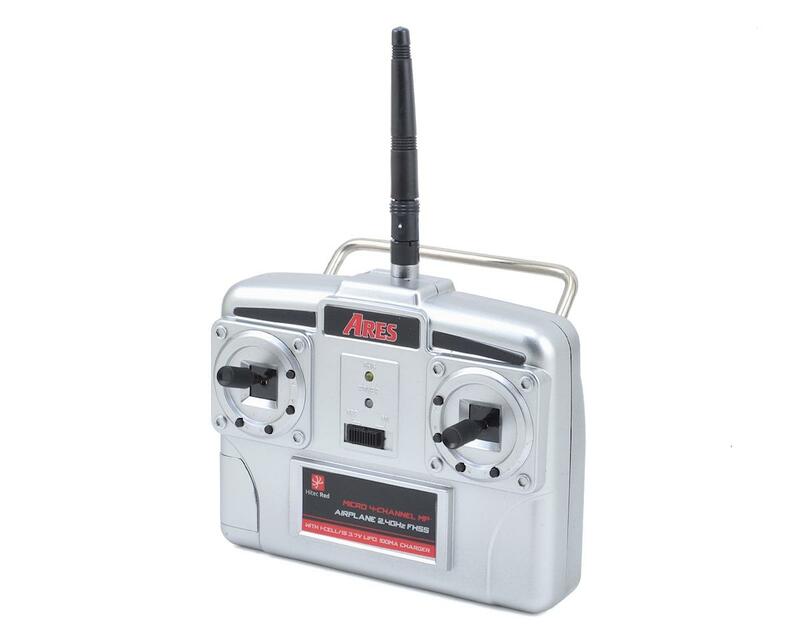 Technically advanced the Fokker D.VII incorporates a Hitec Red 2.4GHz receiver that's compatible with all current Hitec 2.4GHz aircraft transmitters. 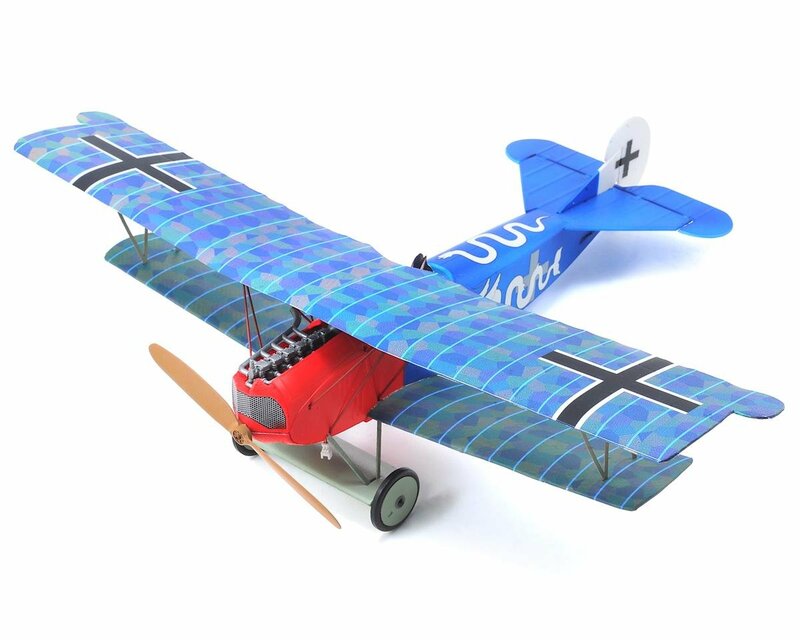 Weighing only an ounce, the Fokker D.VII is ideal for indoor flight or outdoor flight in calm conditions. Ready to Fly: Technically advanced, the Fokker D.VII incorporates a Hitec Red 2.4GHz radio system that’s compatible with all current 2.4GHz Hitec aircraft transmitters. Authentic Decals: The authentic color scheme of the Fokker D.VII flown by Jasta 15’s Lieutenant Hugo Schäfer offers scale accuracy to this delightful ultra-micro warbird. Design and Development: Careful design coupled with proportional three-channel control has provided flying characteristics that’ll put a smile on your face. Lozenge Camouflage: The 4-color lozenge camouflage of the original is faithfully reproduced for scale appearance in the air. Original Character: Propellers make a huge contribution to an airplane’s character and since the D.VII’s large wooden airscrew was no exception, it has been reproduced in size, color and detail. 6-cylinder Engine: Nestled behind the convincing radiator lies a perfect and captivating representation of the Mercedes D.III six-cylinder, inline aero engine. 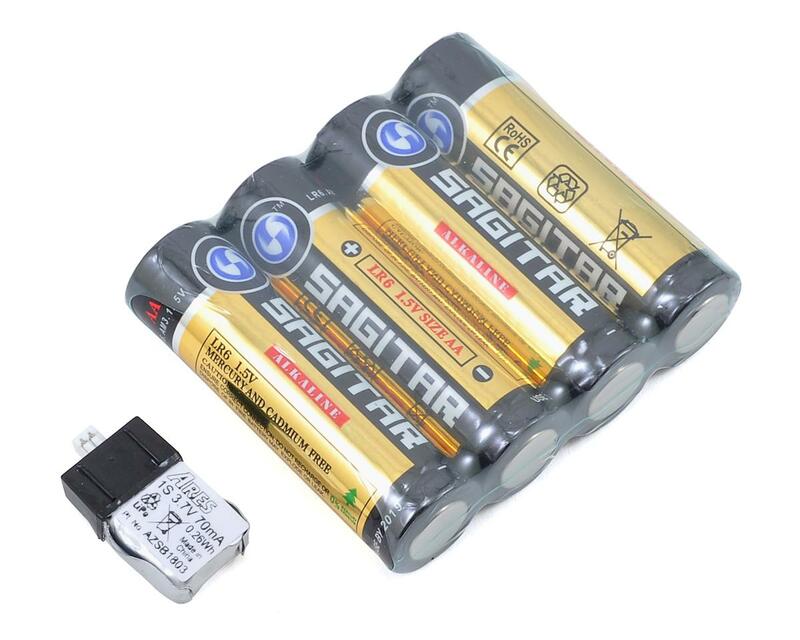 Amazing Duration: Tucked neatly out of view the 70mAh single cell LiPo battery is attached with magnets and provides exceptionally long flight times. Nothing! Everything you need to start flying is in the box! Elaborate detail and not inferior to plastic model, colorful reproduction of special camouflage is very great. In addition to the ultra-ultra-light aircraft is of 25g, the designer of the passion has been condensed. I felt even madness in its thorough making. Ares has realized "may be decorate be allowed to fly" by both the two. It is really wonderful. I will praise. In the course flight performance has been compromise. Was the 3ch ladder machine specification, will because they choose the lightness. It exposed the only Not even weakness in environmental wind can not be carried out part of the basic maneuver for that. Because scale models of the Ultra-Micro size in the selection of what I will agree. We recommend this airplane. And scale airplane that love veteran, a person can use the gymnasium, to those who feel the fetish to Ultra-Micro airplane like me. 1st flight,. It flew great, no bad tendencies at all. Slow flight indoors was amazing. Cons: Ever new battery the servos needed to be trimmed extensively before flight. 2nd flight nice flight same response. 3rd attempted takeoff rudder servo locked in left turn. that was the end of that. Pros: good looking plane. quite the presents in the air. Slow flight with responsive control surfaces. wish I could have flew it more. very nice easy to assemble.hobby town is my favorite place to shop for models and paints. Here are the cons, in my opinion. It banks to the right so I had to give it quite a bit of left rudder trim and it is also tail heavy so I had to add some down elevator to it. The decal was bubbled under the lower wing, it also has a place on the frame where it looks as if it had gotten smashed a bit but nothing too bad. Extra batteries, cant find any. Pros. It is an easy flyer, as long as there is no breeze. It looks good. Its lite so when it goes down it doesnt hit hard. Did I mention that it looks good? All in all I am happy with it, until I need a new battery.